Efficiency and reliability for your restaurant business. The combination between our high-end POS systems, the reliable Orderman radio, and unbeatable handheld devices produces a system that will effectively increase your turnover. Smooth processes, error-free order taking, reduced walking distances and no bottlenecks at the POS terminal make for faster service and more satisfied customers. Innovative technology, an optimal user experience, and tasteful design have made Orderman the world market leader and synonym for mobile technology in the hospitality industry. Table-side ordering for faster service. 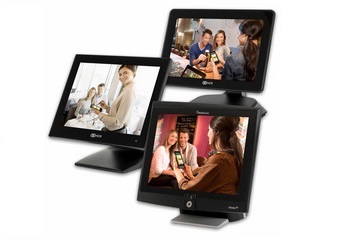 Orderman handhelds were developed especially for use in the hospitality industry. These mobile ordering devices are unbelievably durable, reliable, and easy to use – the perfect tool for any restaurant professional. In unison with the stable Orderman radio, the system ensures an efficient work process and satisfied customers. 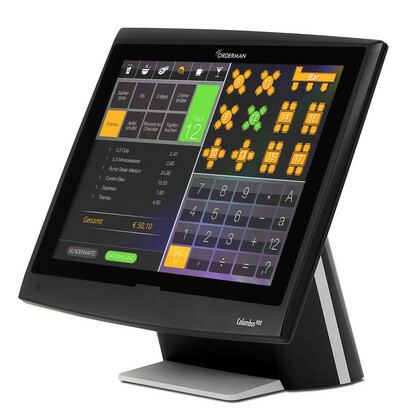 An Orderman POS system is an investment that will pay for itself quickly. The high-quality components ensure reliability and long service life. Faster, more reliable, more versatile. 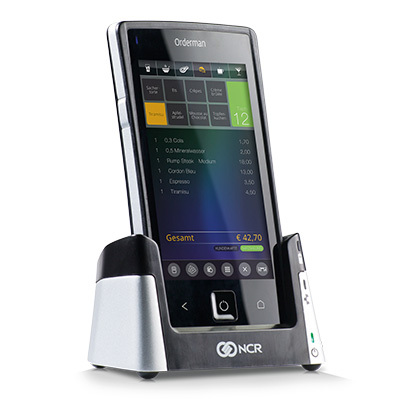 Orderman offers an extensive POS and handheld portfolio made especially for the restaurant industry. 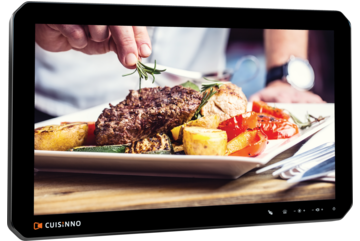 The development of our high-end products embodies 25 years of experience in the field of restaurant technology, as well as 135 years of experience coming from our parent company NCR. Choose a reliable solution that allow for more efficiency and speed of service! Perfecting the order and billing process. What our customers say about Orderman. 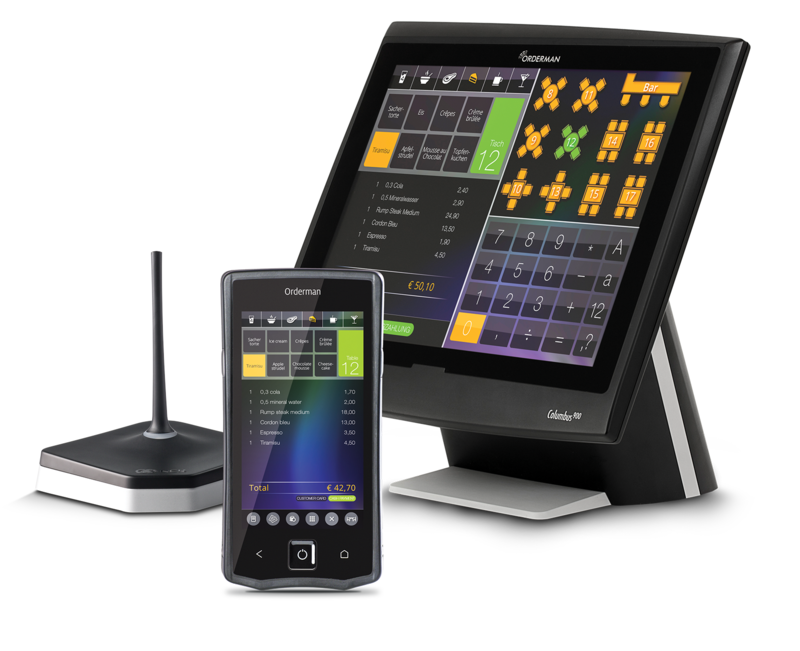 The right POS system for every restaurant business: The Orderman POS portfolio for 2019 leaves nothing to be desired. This perfect addition to the Orderman system makes restaurant workflows more efficient. Ensure your lithium-ion battery pack lasts longer! 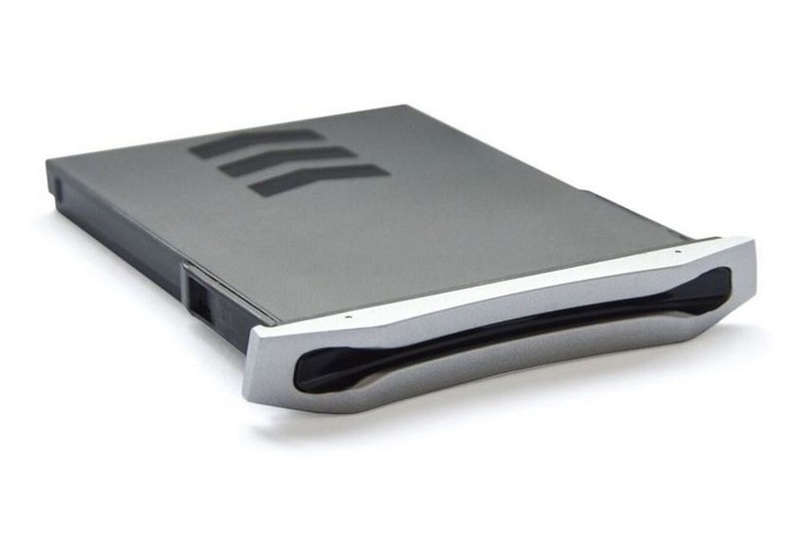 With proper handling, you can extend the life of our lithium-ion battery.